Willis was charged with a misdemeanor count of second-degree criminal impersonation. Scout Willis, the daughter of Bruce Willis and Demi Moore, was arrested in New York's Union Square on Monday evening for having an open beer and then for giving police an ID that wasn't hers, authorities said. Willis, 20, was inside a subway station when she was spotted carrying an 8-ounce can of beer by a police officer, police said. After she was stopped and questioned, Willis produced an authentic New York State ID with the name Katherine Kelly, according to the criminal complaint. 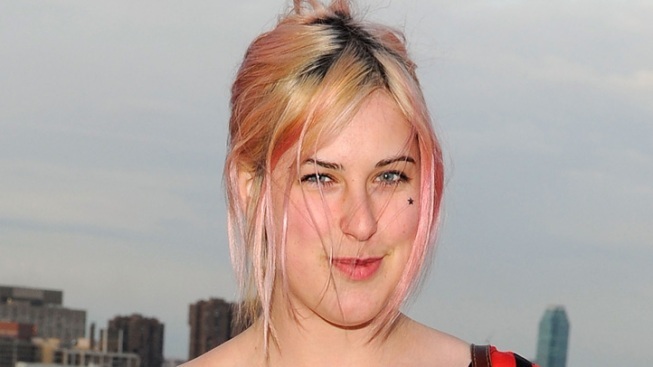 But upon further questioning, the complaint said, she pulled out her California ID with the name Scout Willis, telling the officer "My name is Scout Willis. The first ID isn't mind. My friend gave it to me. I don't know Katherine Kelly." Willis was charged with a misdemeanor count of second-degree criminal impersonation and another misdemeanor count of alcohol consumption in a public place. She was released and has a July 31 court date.